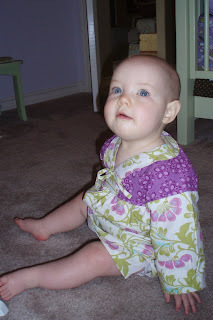 I snapped some photos of Little A as she was scooting around her room looking for things to play with today. The drawer of sheets was a hit. LOVE LOVE LOVE the dress!!! Great job, she is just precious!! !